Secondary education at Lionel School on Lewis could be discontinued. The school provides primary and S1/2 education before pupils move on to finish their secondary schooling at the Nicolson Institute in Stornoway. 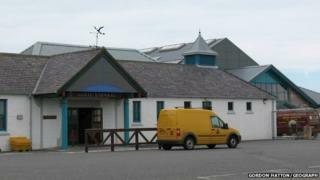 Lionel is the last school on the Western Isles to offer primary education and the first two years at secondary level. Comhairle nan Eilean Siar's education committee has voted nine to six in favour of ending the S1/2 provision. A final decision on the plans will be made at a full council meeting next week. Supporters of the closure say that transferring pupils to the new Nicolson Institute will given them more educational opportunities. But hundreds of people have objected to the plans saying they will be harmful to local children and will damage the community.